Castle paving north east award winning paving businesses. Marshall's registered installer. Tobermore registered installers. 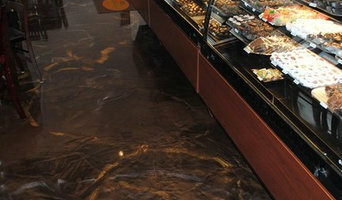 Natural stone registered professionals. Stonemarked registered designers. Leading installers in Resin Bound and Bonded driveways, patios and footpaths. Installing fully porous paving solutions in the North East of England. We install from Thirsk to the boarders of Scotland as far over to Cumbria. Our own unique system of installers have been developed by Carl Birkenshaw, owner of Nationwide Installation Group Ltd. We pride ourselves on quality of workmanship and complete customer satisfaction. 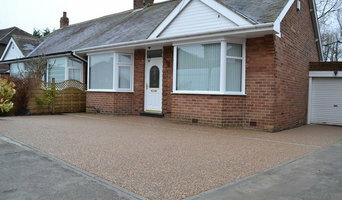 At Northumberland Specialist Surfacing we specialise in the supply and application of resin bound and resin bonded systems for driveways, courtyards, paths, patios and tree pits. The finished product is both hard wearing and low maintenance and the beautiful finish provided by the products make them an excellent choice for both residential and commercial properties. We offer a wide range of colours from natural buff’s and golden shades to bold and vibrant reds and greens. With over 15 years experience in the industry, you know your in good hands. If you are looking for a way to enhance your current concrete or tarmac surfaces with a resin drive, why not give us a call today for a free no obligation quote and let us show you how we can transform your property. Prospect Paving Ltd is a trusted local paving company operating throughout South Shields and the surrounding areas. 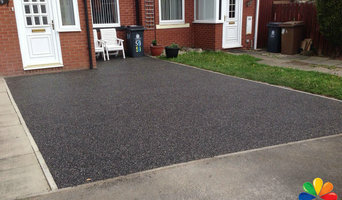 We specialise in all styles of driveways in South Shields, and produce exceptional surfacing solutions for both commercial and domestic customers. Our comprehensive range of solutions includes driveways, pathways, car parks, road repairs and pavement lowering, so you can guarantee that our professional team will meet your specific requirements. Here at Drive Wise Construction we have many years experience within the construction industry. Drive Wise Construction delivers a professional and reliable service, specialising in the design and construction of paths, patios, driveways and natural stone. With a large selection of clients throughout County Durham and surrounding areas. Drive Wise Construction has become a well established and first choice company within the area. All the services that we provide are carried out to a very high standard. This is why we are confident that a majority of work comes from recommendation. 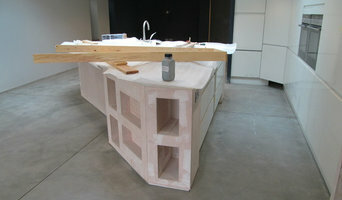 Quality materials are used on all jobs that we carry out. We offer our services 7 days a week, and customers also receive free quotes and advice. You can be certain that you will receive your dream driveway if you choose our company to carry out your work. 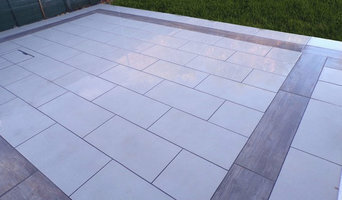 Paving Solutions Group offer our clients all of the necessary experience and knowledge and are a company who have gained the trust of countless customers ranging from private householders to local authorities. We are asphalt and tarmac specialists. We specialise in all work using bitmac in addition to hot/cold tar and chip. We have been leading the way in building quality driveways in Durham for over 15 years. We offer a 100% quality and price guarantee on all our driveway projects. Our paving team will assist you from start to finish on the project with the design and to choose a driveway surface that is both practical and looks great. This is part of the landscaping process wherein the driveway shouldn’t be garish, it will simply blend in with its surrounding environment and stand the tests of time. UK part worn tyres wholesale (B2B broker between supply sites in Germany and UK wholesale buyers). Why should I hire Newcastle upon Tyne, Tyne & Wear driveway pavers? For those building a new home from scratch or completely renovating a house, sorting out the driveway and paving around the exterior of the house is usually something that comes as an afterthought, or at least left until the main living areas areas of your home are sorted. However, it’s always a good idea to talk to professional Newcastle upon Tyne, Tyne & Wear driveway pavers at an earlier stage because they can work in tandem with any other exterior contractors working on the job to create driveway solutions that work with the rest of your house. The driveway construction may not be able to happen until after other contractors have finished, but the space will be ready for the paving or laying of the driveway. Here are some related professionals and vendors to complement the work of driveways: Stone, Paving & Concrete, Main Contractors, Landscape Contractors, Cladding & Exterior Contractors. Find a driveway pavers on Houzz. Narrow your search in the Professionals section of the website to Newcastle upon Tyne, Tyne & Wear driveways and paving. You may also look through Newcastle upon Tyne, Tyne & Wear photos to find examples of driveway solutions and paving that you like, then contact the driveway pavers or contractors who worked on them.